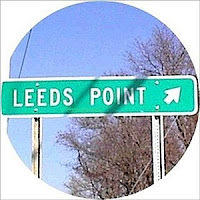 Throughout my college experience here at Stockton, many people have taken an adventure to the well known location known as Leeds Point. I, myself, have some freaky experiences there that I will explain later. The question at hand here is what is the history behind Leeds Point? Many people claim that Leeds Point is the birthplace of the Jersey Devil. There is a house that I have seen next to the opening of Leeds Point with iron bars surrounding its driveway. People have claimed that that is the location as to where the thirteenth child of the Leeds family was born. The birth is said to have happened in the 18th century. The most common legend that is told is of a woman named Deborah Leeds giving birth to twelve children. She was not pleased to find out that she was pregnant with a thirteenth child. While going into labor, the mother was having difficulty and was experiencing large amounts of pain. She screamed out “May the Devil take this one!” At this point the baby emerged from her body. The baby was said to have the head of a horse, wings of a bat, legs of a goat, and the tail of a serpent. After the birth, some interpretations explain that the Jersey Devil was said to have killed the midwife, and letting out a high pitched scream. It then took off through the chimney and escaped. Other variations of the story say that the creature killed the whole family. Leeds Point is on the outskirts of Smithville, and you can see Atlantic City from afar. I have been to this location many times. I was always told as a freshmen about an old eye-less lady walking her dog around 2-3 o’clock in the morning; who does not react to cars. Some people have also claimed that their electronics would not work, and some claimed to see the Jersey Devil themselves. There are not many houses in this area and at the end of the road you can see the bay which over sees Atlantic City. One night I was with a group of friends. There were four of us in a car and we were kidding around and saying how we should walk off into the woods. One of the girls in the car was nervous so she stayed behind. After about thirty minutes she called us on one of our cell phones. We were trying to hear her, but it sounded like she had the radio volume up too high. And then we heard her scream. The three of us sprinted back to the car to find her sitting there upset. She said she heard a noise and we left. On the car ride home we asked her why she had the radio up so high and that we could not hear her on the phone. She denies to this day ever turning the radio on or screaming. Another night, I was with a few different friends and we were talking about the myth of the old lady. It was around 3 o’clock in the morning and we started driving back. Out of nowhere we saw the old lady with a huge black dog. I assumed that this was the old eye-less lady. She did not turn her head to look at the lights of the car and the dog was just sitting on its hind legs. We got a little freaked out and drove by her. But then, we got curious and about a minute later we turned around to get a better look at her. She was nowhere to be seen. This experience was enough to shake me up, and I have gone back a few more times around the same time but have never seen this old lady ever again. There are plenty of probable reasons for the things that I have seen at Leeds Point. However, I still enjoy going to Leeds Point for a good thrill, and to watch the stars. One conclusion thought however, be careful, and I have found that when using a flash light, it creeps you out more. You are better off letting your eyes get used to the dark so you can see more clearly. What a freaky story! Thanks for posting this. It's interesting how the relatively quiet Pomona area can have such history behind it. 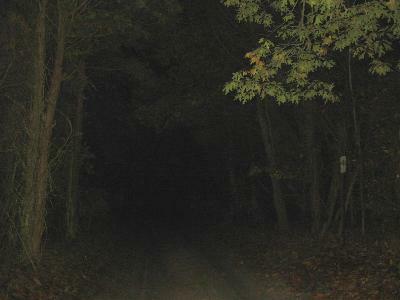 I doubt the legend of the Jersey Devil is true (creepy!) but I wonder about the blind old lady. You are certainly brave for checking that out; I don't think I would. 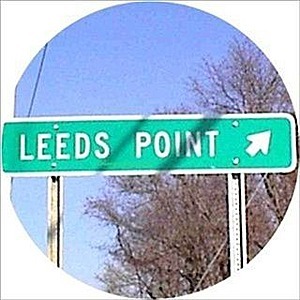 I've always wanted to check out leeds point. I've heard stories like this from other people and I wanna experience it. Ghosts and such don't scare me, so I would be loving it.